Prior to the actual placement procedure of dental implants, several designs of what the end-result will look like may be made during the assessment phase of the treatment program. 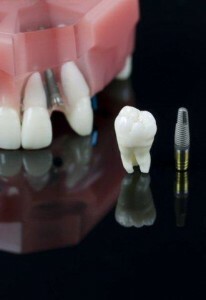 Life Dental Implants London provides you with this important step to ensure that you get what you want (and need) from the placement of your dental implant. Designs or mock ups of the final dental implant placement results will help in determining what the end-result will be; these initial designs will also help in the proper planning and execution of the treatment, and can help the dentist to identify problems or limitations in what’s possible during the planning phase. also diaganostic designs aid in visualising the end result and allow an assessmnet of the success of the entire treatment. The mock ups can also bring up potential problems or risks (if any) that can be addressed prior to the actual placement of the dental implants. The success of dental implants placement will greatly be helped by proper and meticulous planning, so that the execution of the treatment goes flawlessly. Life Dental Implants in London will make sure that your treatment plan is given the detailed assessment you need, to be able to come up with the end-result that you need and deserve from your dental implants.